FACT: Properties affected by water damage are less likely to develop mold contamination if they are dried within 2 days. So, if you are experiencing a water damage emergency, CALL our certified Chicago water restoration specialists 24 Hours a Day at 773-639-1860 to get help within 60 minutes, guaranteed. However, if you are researching Chicago water restoration companies trying to choose the best one, please continue reading and see why for almost 20 years we have been the top choice for Chicago water damage repair, Chicago fire damage restoration, and Chicago mold remediation. Water Restoration Experience. We have been the top Chicago water restoration provider for almost 20 years. Naturally, we are a fully licensed and insured company. Trained & Certified Restoration Team. Our Restoration Team consists of highly trained water restoration professionals, who are also certified by all the major authorities on water, fire, and mold damage. Quick and Effective Restoration Methodology. Utilizing our proprietary water restoration methodology, we can alleviate your water damage problem in 3 days or less. Unless, of course, major structural repair is required. These and many more reasons are why people all over Chicagoland choose Chicago-Water-Damage.com for all their restoration needs. Call 773-639-1860 now to speak to a certified Chicago water restoration specialist. When we come to your home, we will do a careful damage assessment and provide you with an accurate and comprehensive quote. 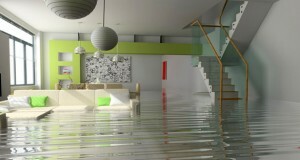 After a careful assessment of your water damage we will provide a no-obligation estimate. Since we work with all the insurance companies and bills them directly, the restoration process becomes completely hassle-free for both the property owner and the insurer. However, even in the absence of insurance, Chicago Water Damage will still provide you with the best pricing in the industry. So, call our Chicago restoration team 24/7 at 773-639-1860. What Does Water Restoration Process Entail? Restoring a property after water damage can be a complex procedure. Being a is a full-service water restoration company, we help you bring your home or business back whatever it may require. We believe that understanding what that process may include is crucial to those affected by water damage, which is why we have prepared a list of services we offer to address your water restoration needs. The idea is that whatever has to be done to return your property to normal will be done. Guaranteed. Our Chicago water restoration professionals are looking forward to helping you, so call us now at 773-639-1860.
www.Chicago-Water-Damage.com – Water Damage Restoration Professionals in Chicago, Joliet, Naperville, Skokie, Schaumburg, Elgin, Arlington Heights, Bolingbrook, Cicero, Evanston, Palatine, Waukegan, Des Plaines, Northbrook.